Reggae-dancehall artist, Charles Nii Armah Mensah Jr, known in the showbiz industry as Shatta Wale has disclosed in a Facebook post that people will need the ‘Reign’ sign to grant them access to heaven. The ‘Gringo’ hitmaker made this statement after his Reign album ranked 6th on the US Billboard album chart just two weeks after its launch at the Fantasy Dome. “One day when Shatta Movement rise, everybody will show this sign to get into the Kingdom of God. And shall say, Wale,Wale!!!”. The Reign album launch which took place on 13th October 2018 can be described as one of the most successful events to be hosted in Ghana. The events saw over a thousand patrons filling the Fantasy Dome to experience the controversial dancehall king launch his album and also have fun. Shatta Wale formerly known as Bandana is the Chief Executive Officer and founder of Shatta Movement Records. He has worked with many artists such as Sarkodie, MzVee, Davido, Kuami Eugene and others. He has a countless number of songs such as Gringo, Bulletproof, Taking Over, Kill dem with prayers, Baby, My Level, Shatta Story among others. 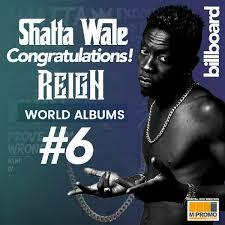 There has been no response to "“Everybody will show Reign sign to get into heaven” -Shatta Wale"